There are so many different fun and easy craft ideas out there to choose from nowadays, but sometimes the thought of having something unique that NO ONE else has, just seems a lot more intriguing and special. Having something custom made can also leave a big dent in your pocket, but why not try make it yourself! Here are three different fun and easy craft ideas that you can do yourself! – either a gear, cog or wheel from an old watch or clock. 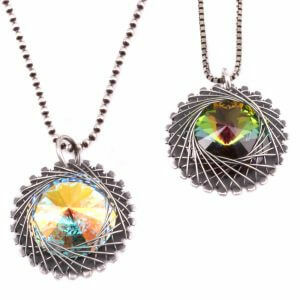 – thin craft wire & a big jump ring to use as you pendant bale loop. All you need to do is to place the stone in the centre of the gear and wrap the craft wire between the teeth to hold it in place. We have all the necessary items in stock here at Cape Watch – Gears, Stones, Jump rings and Craft Wire. This one is almost possible for everyone to make ( even for kids), as we are sure you all have a peg that you can use. 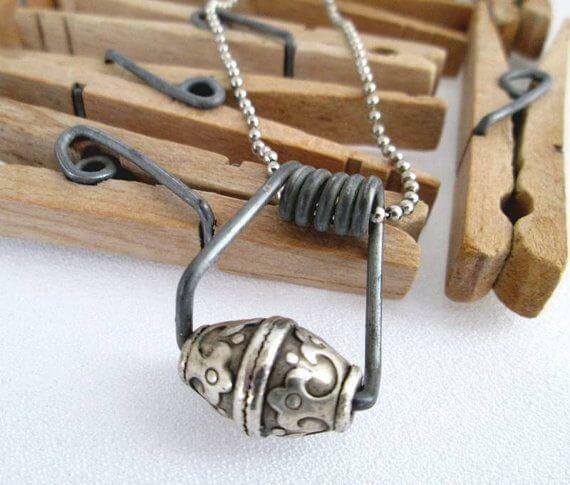 Simply remove the metal piece of the peg and add some beads, steam punk parts or even a coin to it. Find a nice chain to top it off and there you have it – your very own piece of jewellery! You can get very creative with what you add on, so let your imagination run wild a bit. Browse our selection of Chains and Steam Punk parts to find something nice. 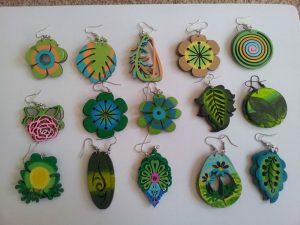 Choose the material you want to use, decorate it in any way you want and add it to your earring hooks. You can create various pairs for different events, days and outfits. We have earring hooks, pliers and leather for you to use in order to make this piece of jewellery. Time to gather all the tools and accessories and get creative with these Fun and Easy Craft Ideas! 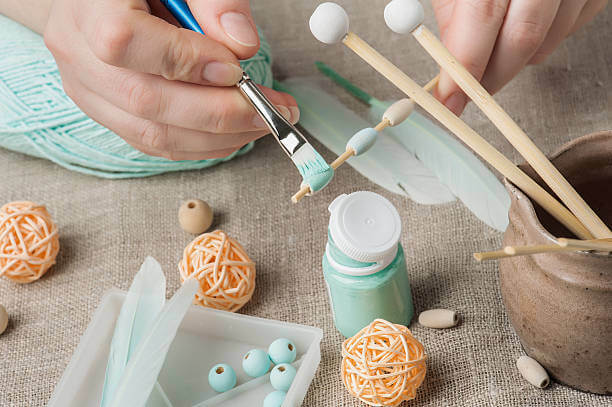 Whether it is for yourself or for as a gift, these fun & easy craft ideas can keep you busy for hours on end and inspire you to find new ways of expressing yourself. For any assistance regarding the products we offer, please feel free to contact us at any moment.